You own an e-commerce store? I have good news and bad news. If customers cannot find what they need or want in their local stores, or if they are in rural areas where their shopping options are non-existent, they can log in on their computers, tablets, or smartphones and search for what they need, which may very well be your product on your e-commerce site. Just because those potential customers found you, does not mean they will all shop from your site if they must place the orders themselves rather than having the option to call your business and place a phone order. Some of those people do not have decent Internet service, many are distrustful of the Internet, some do not own a computer and placing the order via their smart phones is too difficult, and some are older customers who want to do business with a real person. Your website may be 24 hours but you and your office are not. You are losing money. You can meet the needs of all those potential customers who want to call in their orders and you don’t even have to answer the phone. How? 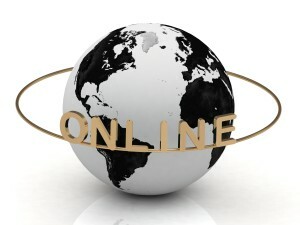 You use the services of a 24-hour live order taking answering service or order taking call center. You use Call Center Plus! We are here 24/7/365 to take orders and give quality customer service. We give you a proprietary number to forward your phones to. We answer when you can’t. We answer in your answer phrase, lending continuity between the call center and your main office. We integrate with your website so we can take orders straight from your site. We can give your customers a confirmation number as they place the order. They don’t have to guess or wonder if you received their mail-in order, because we take the order for them. We are even really good at providing that human touch by answering your customer’s questions. Just provide us with your FAQ’s and let us take care of that basic and most time consuming customer service for you. Call Center Plus customizes your needs to our services, not the other way around. We take care of your customers the way you would. Using a 24-hour live order taking answering service will save you time, money and energy. We do not ask you to sign a contract. You are charged a nominal account maintenance fee per every 28-day (4 weeks) billing cycle, and then just for the minutes of operator time used to take the call and place the customer’s order. We round the call to the nearest second, not the nearest minute. You are not locked into paying for a certain number of minutes, or even a certain length of stay with our business. None when you use Call Center Plus! Except that you haven’t signed up yet!